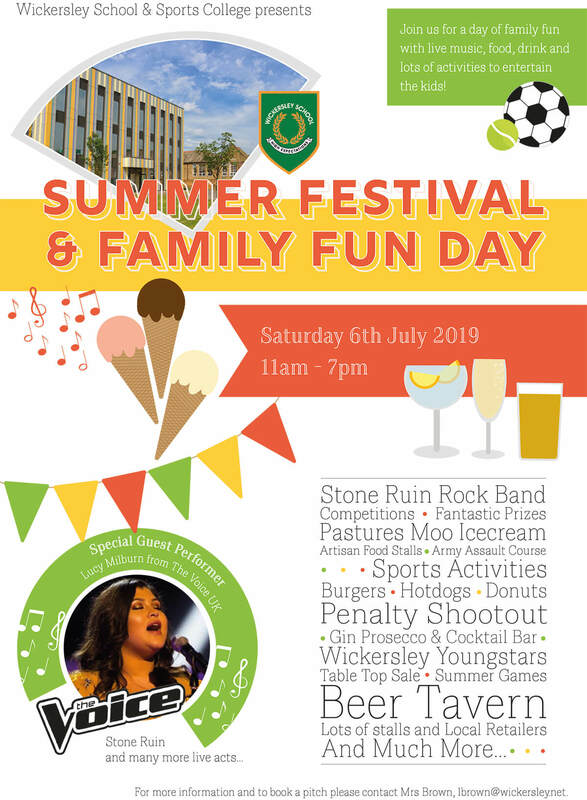 On Saturday 6th July 2019, Parents & Friends of Wickersley School and Sports College, invite you to our first ever Summer Festival and Family Fun day! 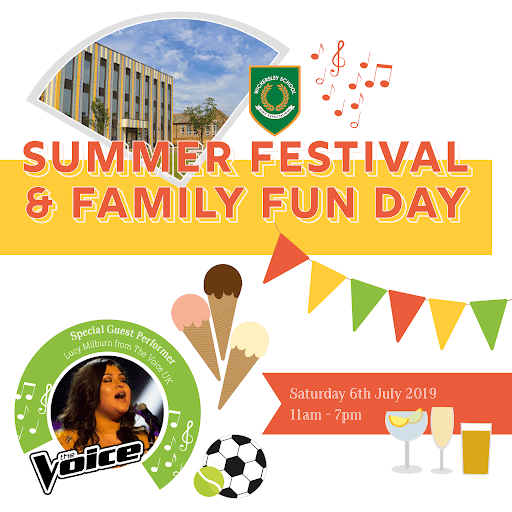 There will be lots of live acts performing throughout the day including The Voice UK’s Lucy Milburn and former Wickersley students Stone Ruin as well as many of our talented present and former students. We also have a range of stalls including artisan food, fashion and homeware, a gin, prosecco and cocktail bar, Pastures Moo ice cream, a beer tavern, hotdogs, burgers, fresh doughnuts, kebabs and curries and Brecks Birds of Prey, all alongside our jam-packed table top sale! There will also be a range of sports activities and fun games for both adults and children of all ages to take part in throughout the day, as well as plenty of competitions and fantastic prizes to be won. Please write the date in your diaries – It’s sure to be a great day for the whole family! 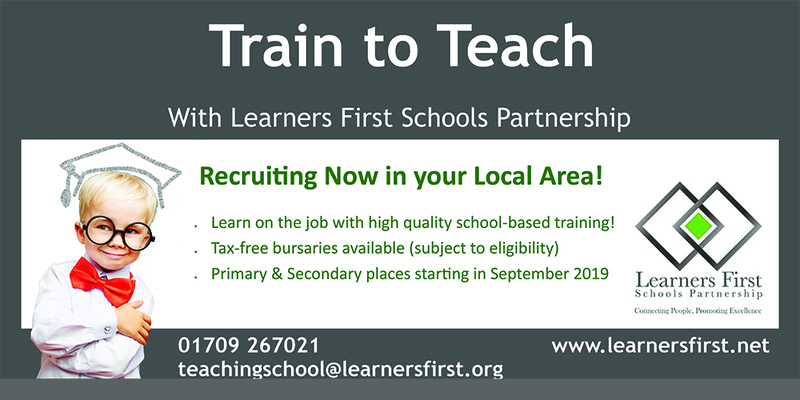 For more information and to book a pitch please contact Mrs Brown, lbrown@wickersley.net.